You don’t really hear about venomous birds very often. Venomous snakes and spiders, sure, but not birds. That is because there is no species of bird that makes its own poison. However, that has not stopped a few species from highjacking the poisons made by other creatures and using them for their own defense. The first group of birds to ever be discovered using this trick are a group of birds called Pitohui, which are endemic to the island of New Guinea. In particular a pair of closely related species, the Variable Pitohui (Pitohui kirhocephalus) and the Hooded Pitohui (Pitohui dichrous), are particularly toxic. The Pitohui are omnivorous birds who eat a range of fruits, nuts, and insects. 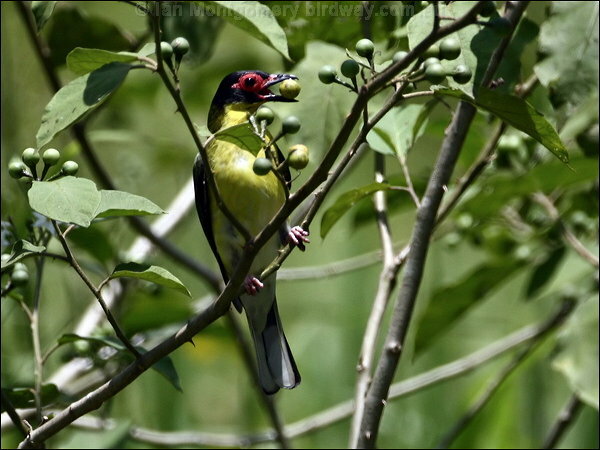 It is the insects that give these birds their poison defense. The toxin that Pitohui use is called batrachotoxin. Which is found in beetles of the genus Choresine, a common part of the birds’ diet. The birds eat the beetles, are apparently not effected by the batrachotoxin, and are then able to use the toxins, themselves. Batrachotoxin is a powerful neurotoxin that stops neurons from being able to fire. This leads to numbness or tingling just from touching the birds, and can cause permanent paralysis and death if exposure is more severe. This toxin is the same toxin used by the poison dart frogs of Central and South America (Family: Dendrobatidae). It is so toxic that the lethal does for an adult human (150 lbs) is only 100 micrograms, or about the weight of two grains of fine-grain table salt! That makes Batrachotoxin 15 times more toxic than curare. And there is no antitoxin. The Pitohui secrete the batrachotoxin into their feathers and skin. No one is quite sure what they use these toxins for, but it seems likely that they help deter predators from eating the birds. 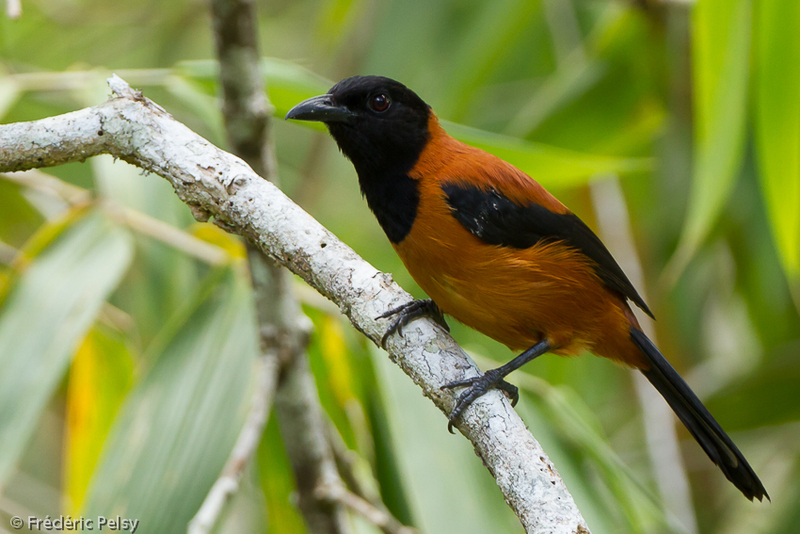 So, next time you are in New Guinea and see a bright orange and black bird, don’t eat it! Previous Post Scholar Holler: Andy Dosmann, Ph.D.
Next Post Scholar Holler: Preston Wilson, Ph.D.